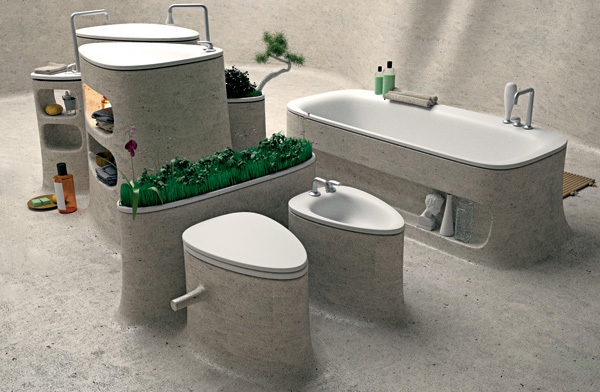 When speaking about bathroom design, everything is well thought out and planned. 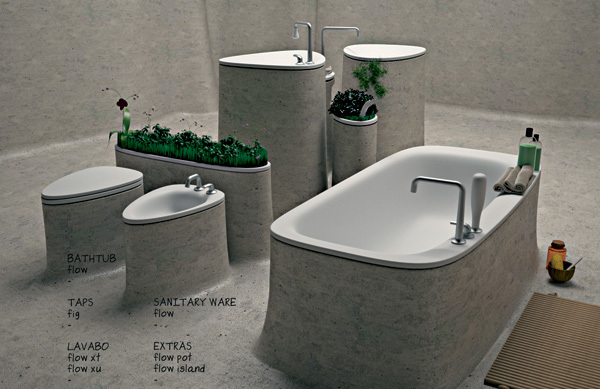 But even the most well designed spaces can still feel somewhat disjointed; especially in a small bathroom. 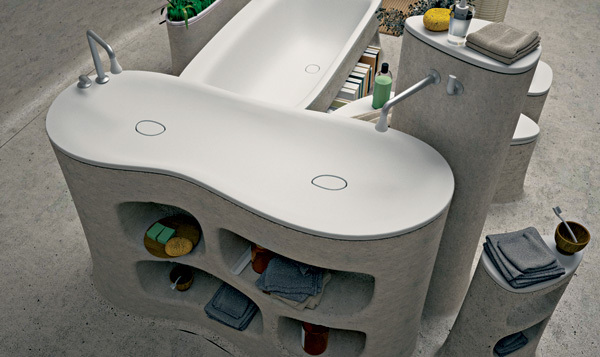 The ‘Flow’ bathroom designed by Barcelona’s Art-Tic Design Studio solves those issues. Art-Tic’s mission is to create innovation and make people’s lives easier through design. They have done just that with the ‘Flow’. 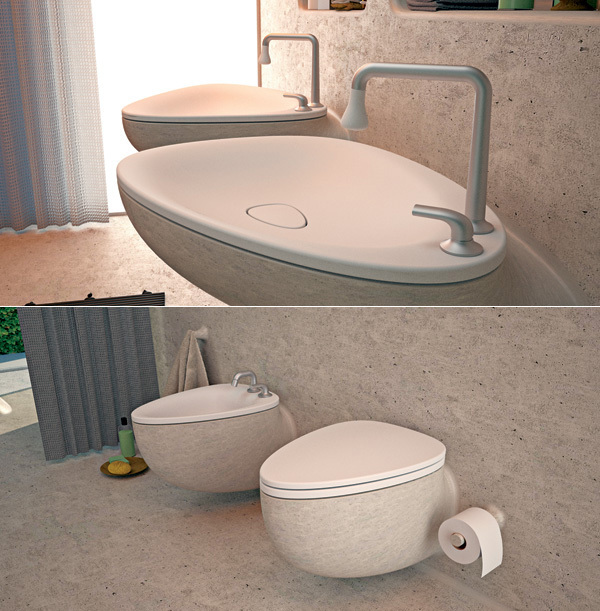 They have not only designed fixtures for the bathroom, but designed a whole bathroom concept. 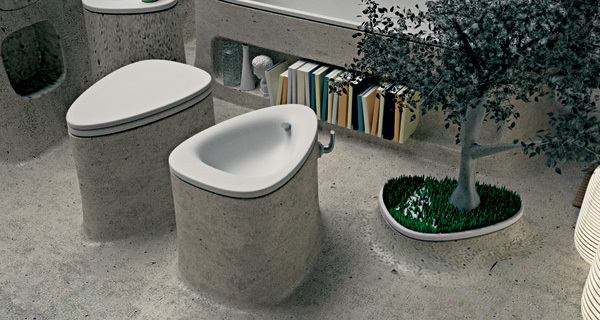 Through seamless original design the ‘Flow’ gives an illusion of the plumbing fixtures like the sink and toilet being fused to the floor and walls. Concrete is the material that makes this look possible. The Flow’s concrete fixtures are placed over traditional plumbing, allowing for choice of different size sinks, toilets, and faucets. Having the walls and floors the same concrete material as the fixtures further enhances the look. 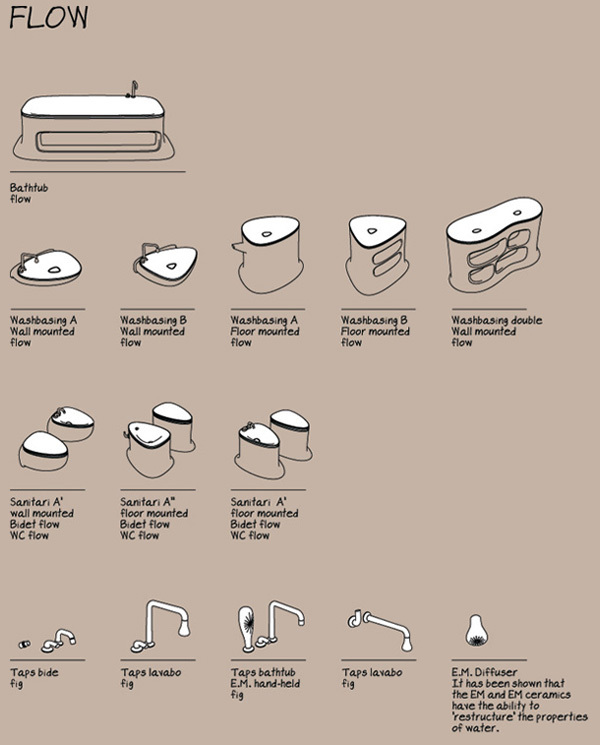 This concept is great for small bathrooms in particular. Because of the seamless design there is no place for the eye to stop and “rest”. 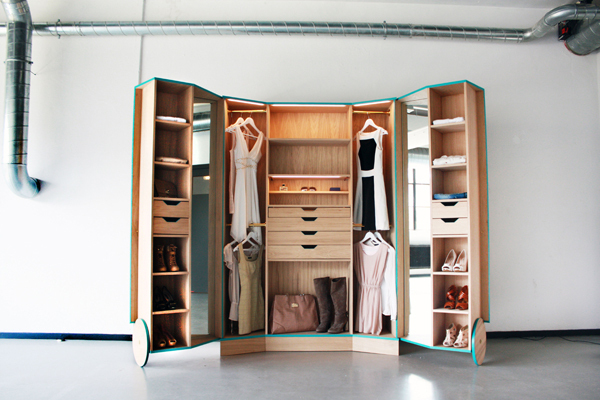 Having the whole room one material and color helps with this illusion as well. Your eyes have a continuous line of vision and trick your mind into believing the bathroom is larger than it really is. 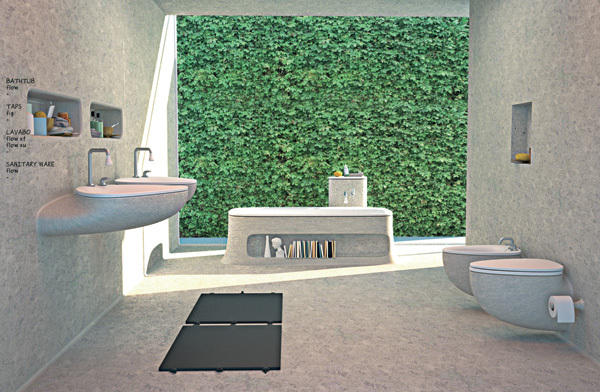 And no part of the space is wasted; Green design is part of this original bathroom as well. There is a place for live plants in the bathroom. This is a great addition to the design, the moisture in the room is perfect for the plants and they in turn give off fresh oxygen for the users. The overall look is comfortable and natural. The concrete is smooth to the touch and is soothing of the feet and hands. 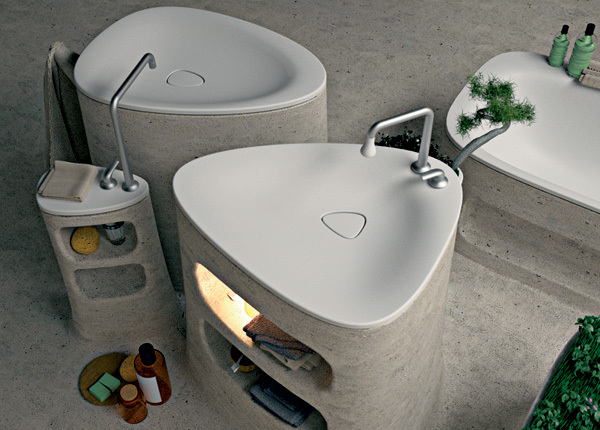 The ‘Flow’ is the perfect bathroom design for any home.